Do you believe in sporting fairytale? Joe Schmidt will certainly be hoping his comes true on Saturday afternoon as Ireland seek to add icing to their Natwest Six Nations championship win by completing a Grand Slam on St Patrick’s Day. Victory over Scotland while England lost to France in Round 4 means Ireland come into the final round already crowned champions, but Schmidt could claim a first Twickenham win and his first Grand Slam during his four-year tenure all on the famous Irish national holiday. However, before attention turns to Ireland’s victory parade, the final round gets underway in Rome as Scotland travel to face an Italian squad seeking their first victory of the competition. Then, the main course of Super Saturday comes from Rugby HQ as England, on the back of two successive defeats, seek a return to form and to disrupt the Irish party. The 2018 edition of Europe’s elite competition finishes in Cardiff as Wales welcome France to the Principality Stadium for a Saturday evening showdown. This season’s final round kicks off at the Stadio Olimpico as Italy seek a first Six Nations win since 2015 as they welcome fifth-placed Scotland to the Italian capital. Conor O’Shea’s Italy have not shown as many glimmers of hope as last season, while Scotland – who claimed the scalp of England in Edinburgh in Round 3 – would love to end their campaign on a high. Gregor Townsend’s men captured headlines across the rugby world as they dismantled England, but have too often been edged out this term, something Scotland must make amends for in Rome if they are to head into the summer on a high. Italy appear weak and their talisman, Sergio Parisse, has registered his lowest statistics out of his seven Six Nations, a mere representation of the Azzurri’s slide, but the question is whether Scotland can hit the straps again and rediscover the form which saw them embarrass England a few weeks ago. 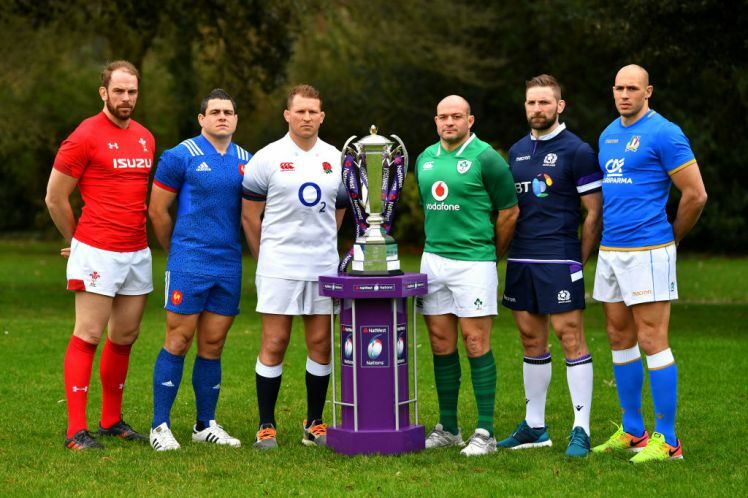 It was billed to be the decider, but Round 4 tore the script up and gifted Ireland the 2018 Natwest Six Nations crown, but the elusive Grand Slam still hangs in the balance, one thing England will be desperate to derail. Last season it was Ireland who shut the door on England’s Grand Slam hopes with a 13-9 victory in Dublin and Eddie Jones will be keen to see his side return the favour, as it were, at Twickenham on Saturday. Ireland’s 2017 win was one of just two wins in the last eight meetings between the nations, but after back-to-back defeats, England could be open for the taking. Jones’ gameplan was exposed by Scotland in Edinburgh and in Paris as Jacques Brunel’s side outmuscled and outshone the visitors, with an imperious Ireland next up, England could end their Six Nations campaign with an unwanted hat-trick should they not show a fresh approach. Wales head into the final round of Six Nations action in second place, but their guests on Saturday, France, are just one point behind in fourth, meaning their clash in Cardiff could be shootout for the runners-up spot depending on the earlier result at Twickenham. France have not emerged victorious on Welsh soil since 2010, but after victory over Warren Gatland’s men last season as well as the clinching victory over England last weekend, Brunel will be confident his side could take attention away from the off-field issues which have marred their campaign. Victory over England was a major achievement for France, especially given the wholesale changes to the squad after disciplinary issues, but Wales too have looked strong in recent weeks, putting to bed Italy with an emphatic performance in front of a home crowd last weekend. However, with key players in and out of the squad, Wales have shown elements of weakness, in equal measure to the promise of the emerging talents of the likes of Hadleigh Parkes and Steff Evans, but do they have the experience to overcome and ever-advancing Les Bleus defence led by Guilhem Guirado and a spellbinding attacking division with the monstrous Mathieu Bastareaud at the heart.